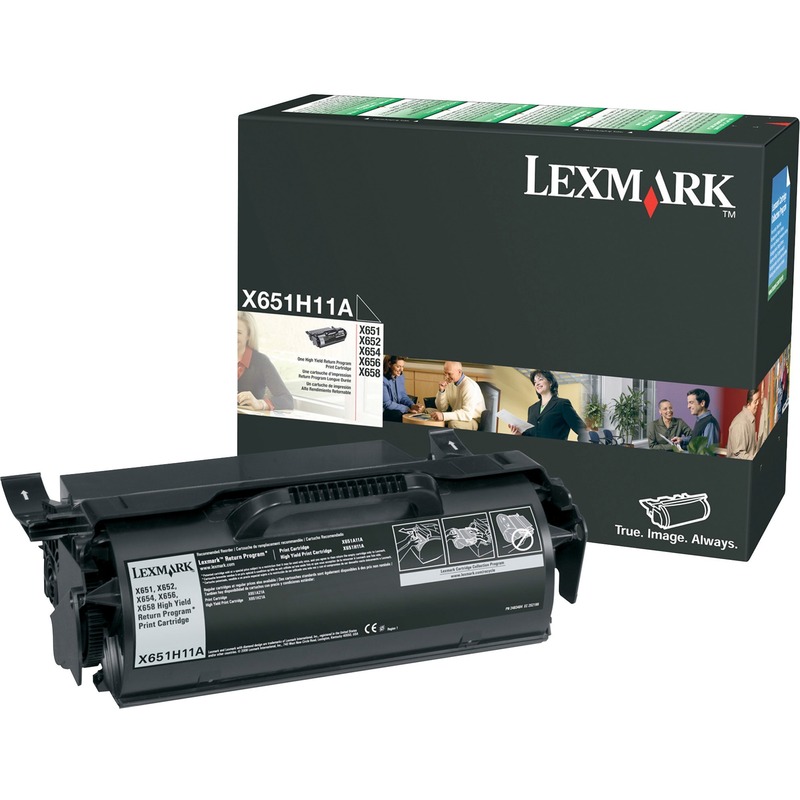 Lexmark High Yield Return Program Toner Cartridge (25,000 Yield) - TAA Compliance | Om Enterprise Inc.
Lexmark X651, X652, X654, X656, X658 High Yield Return Program Toner Cartridge (25,000 Yield). Save Time, Money and the Environment with Genuine Lexmark Supplies. Return Program toner cartridge is designed for use with Lexmark X651DE, X652DE, X654DE, X656DE, X656DTE, X658DE, X658DFE, X658DME, X658DTE, X658DTFE and X658DTME. Lexmark Return Program Cartridges are sold at a discount, vs. the prices of regular cartridges, in exchange for the customer's agreement to use the cartridge only once and return it only to Lexmark for remanufacturing or recycling.